The Hall has an extensive collection of personal items and memorabilia related specifically to Inducted Members. This includes such material as licenses, logbooks, uniforms, insignia, medals, trophies and awards, documents, correspondence, scrapbooks and photographs. Access to material held within the collection is available on-site to researchers and visitors by appointment only from Monday to Friday, 9am to 4pm. Our Aviation Resource Centre has approximately 2,500 books and over 10,000 periodicals on aviation and aviation-related themes. 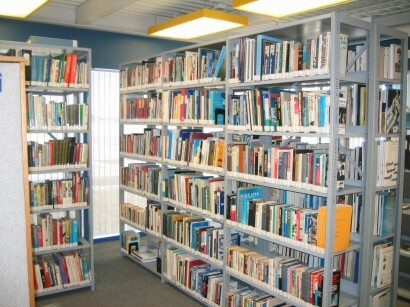 The books in the library form various collections which relate to specific events, aircraft, organizations and personnel. Most of the books and periodicals within the collection relate to members of the Hall and to the aircraft and organizations which they belonged too. The collection has grown over time mostly from donations from the public and members. The museum does not buy its resources, we will however, graciously accept donations if we have determined in advance that the book meets the Hall's mandate and, we do not already have duplicates of that book. So, if you are interested in donating books to the aviation resource centre, please e-mail to cahf3@telus.net or write to us with details about the book at the address below. Perhaps your book will enhance our resource centre and contribute to the preservation of Canada 's aviation heritage. The Aviation Resource Centre is located within the Aviation Exhibit Hangar at the Reynolds-Alberta Museum. It is non-lending library and is open during museum hours. * Official tax receipts will be offered for material at fair market value.